In the north of the capital Kathmandu in gorgeous Lagtang region, Yala peak is located at an elevation of 5,732m (18045ft.). If you are looking for the easiest, less time, wonderful and of course adventurous climbing and trek then no doubt that you are in right place. It is classified as grade F (facile/easy) on the Alpine Grading System. Yala peak climbing offers Himalayan views of several white snowy mountains belonging to Nepal and Tibet. As Yala peak is like a bridge which separates Nepal and Tibet. Yala peak climbing doesn’t need prior climbing experience; with simple trekking experience also one can bear to climb. However basic knowledge is required as at fewer place we use our hands, where axes are useful but not obligatory. Yala Peak climbing begins from Syabrubesi following 6-7 hours beautiful farmland drive from Kathmandu. Further we will climb up to wonderful Langtang valley to Kyanjin gompa where we can see a cheddar processing plant set up by Swiss relationship for specialized backing. This more often than not takes 5 days. At that point we will burn through 3 days acclimatizing and investigate the Langshisa ice sheet, building up a high camp at 4800 m from where we make our summit. The summit of Yala top offer the astounding perspective of Langtang Lirung, Dorje lakpa, Ganesh Himal, Naya kanga peak, Gangchempo, Shishapangma (8013m), the most noteworthy mountain entirely in Tibet. After summit the Yala top, we will take to you either coordinate Syabrubesi or through Gosaikunda Lake and over Lauribina pass trekking to Helambu, it will rely on upon your time.We dive from the upper Langtang Valley trek to the extent Syabru before taking after an alternate trail, past Sing Gompa, to the holy pools of Gosainkund. We cross the Laurebina La (4610m) and come back to Kathmandu through the flawless towns of the Helambu district. 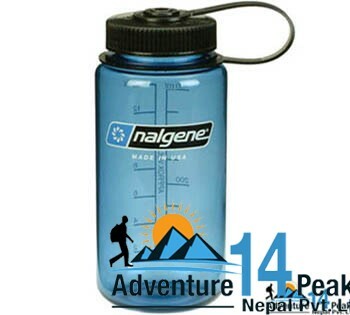 Yala crest climbing is an one of a kind enterprise through Langtang valley. Yala peak climbing is of great experience via Langtang valley. August-November and March-May are the best seasons in Nepal for climbing. Qualified, experienced Sherpa and guide are there to climb. Yala peak climbing will be a lifetime experience and one of your memorable. Day 03: Drive from Kathmandu to Sybrubesi (1462m) (8 hrs) We head north out of Kathmandu driving through scenic foothills and ridgeline vistas to Sybrubesi. The first part of your trip we will drive up to Trishuli Bazaar smoothly. Then, the path moves along the gravel road. During the rainy season, the road is sometimes blocked due to landslides. Stay overnight at lodge in Sybrubesi. Day 08: Trek to Yala Peak Base Camp Today we trek along the rocky glacier trail. While trekking you will enjoy with the views of Ganchenpo, Naya Kang, Tserko Ri, Yala peak and others. Your overnight stay will be at the tented camp and the food will be prepared by our professional camping cook. Day 09: Summit Yala Peak (5732 m) and back to Kyangjin Gompa Today our main adventure day begins. An early morning we wake up and prepare ourselves for the climb. When you reach the summit of Yala peak, you will be stunned by the panoramic views of Shishapangma, Dorje Lakpa, Ganchenpo, Naya Kang, Tserko Ri, Langtang Lirung and many other Tibetan mountains. After the summit you will return to Kyangjin Gompa for overnight stay at lodge. Day 12: Trek to Lama Hotel After breakfast we take a route back to Lama Hotel following the same trail that we had retraced before climbing to Langsisa Ri Peak. We stop briefly for lunch on the way and thereafter continue our walk down to Lama Hotel. Day 13: Trek to Syabru Besi After breakfast at Lama Hotel we set off for Syabru Besi where our vehicle will be waiting for us. The route to Syabru besi is rough and some time in monsoon the landslide blocks the road. Day 15: Free day in Kathmandu On this pleasant day you may have a full day at leisure either relax at hotel or explore the around Thamel. Or, you may do your last minute shopping for souvenirs or gift to your family, friends or relatives.